Every time a write record format is processed by the RPG program the OA handler receives the entire record content. This control of the different record formats can be particularly significant for display files. With the 5250 work-station, limitations are imposed on the number of formats that can be displayed, the sequence of the write operations, overlays for record formats and the size of the screen. Another limit is imposed on the total number of subfile rows and the number that can be shown on a screen. With OA these limitations can be overcome, any written format buffer is available, as well as any field value, including hidden fields. The OA handler for a graphical UI can show more formats and more subfile rows. In addition, an OA handler is not restricted to reading only those record formats that have been written to the device. When an RPG program performs an I/O operation on a system file, a system data management function is called to handle the operation. 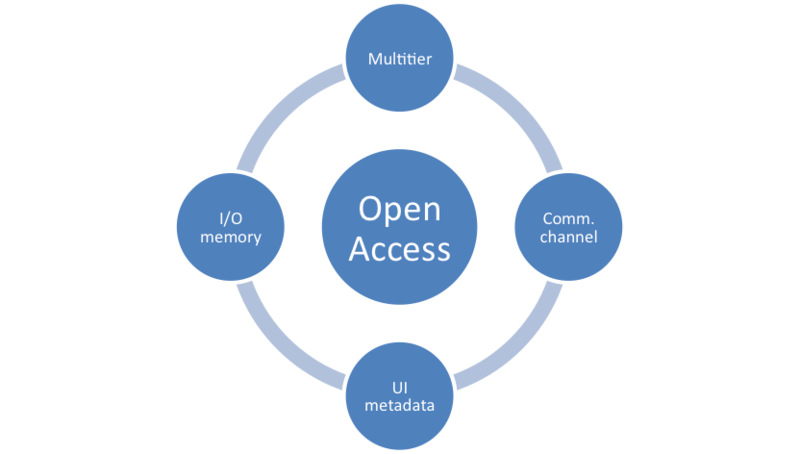 When an RPG program performs an I/O operation on an Open Access file, the OA handler is called. The OA handler can process the RPG I/O and direct it to new channels and/or protocols. 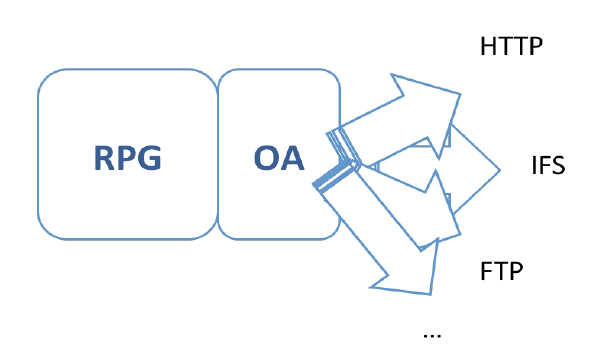 OA decouples the I/O access from end-to-end, and as such, it provides a multi-tier architecture for RPG. With OA you can change DB access or the UI without changing your RPG business logic code. Metadata is data describing your I/O fields. You may have metadata within your DDL or DDS that describes your files, or you may have metadata which describes new elements for a new device or a resource your OA handler is connected to. Depending on your OA implementation, you may need to access this metadata from different processing languages or tiers. With OA you have full control over the format, extraction and location of the metadata. The Open Access developer has many choices for encoding metadata. XML can be used to support multiple platforms and use cases. JSON is sometimes used when the consuming client is a web browser. 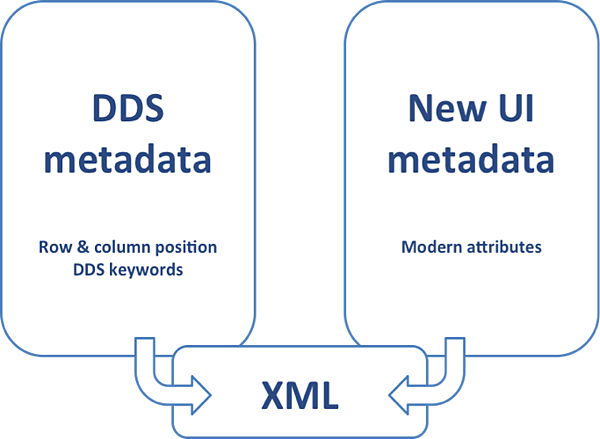 XML is a cross platform and industry standard to define metadata. It can be validated against a DTD, and can describe constants or literals in Unicode (DDS based storage lacks this ability). It is a perfect candidate for the storing and sharing of metadata for any OA implementation and extension. In addition, processing of XML is directly supported by RPG's XML-INTO and XML-SAX operations codes. The OA handler uses the name of the file as its reference and does not require the file to be present at run-time. Therefore metadata does not need to be tied to the object file. You can generate metadata from different sources and store it anywhere.